We invite you to compare the value and benefits of James Hardie siding products with the other siding options that are available. We think that you’ll agree with us- it can’t be beat! 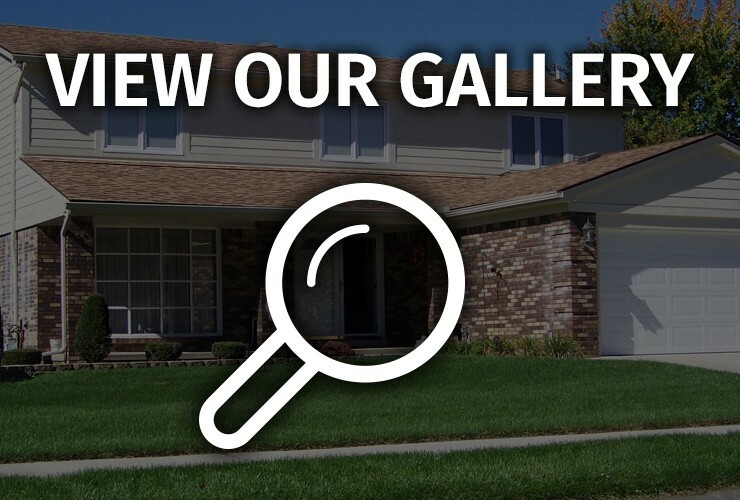 From the first year to years later, the beauty of James Hardie siding is unrivaled. Because it’s created to stand up to the demands of the Michigan climate, James Hardie siding stays beautiful longer, reducing time and money spent on maintenance. 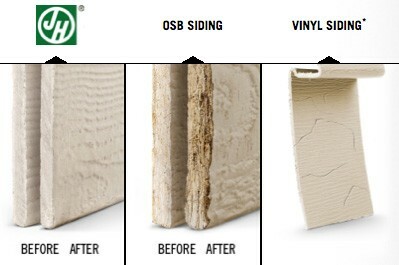 Other siding materials, can resist expansion and contraction, retaining finish adhesion over time. And with ColorPlus Technology, a baked-on color option, you get vibrant color and a long-lasting, beautiful exterior. 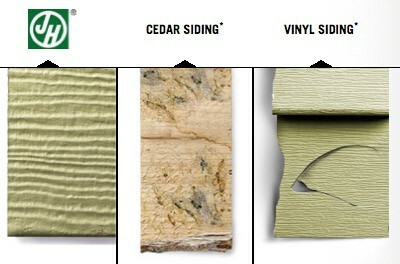 James Hardie siding products are Engineered for Climate®, which means they’re unique made for the Michigan climate. 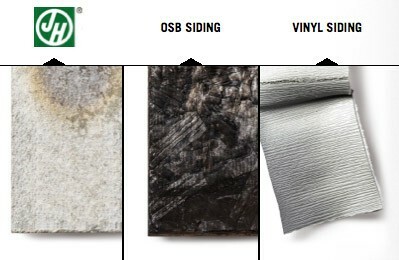 So while other siding materials may experience swelling and edge checking in response to changes in climatic conditions, James Hardie siding stands up to storms, hail, wind and extreme temperatures, reducing time and money spent on maintenance. James Hardie siding is manufactured to resist damage from water including issues like mold, swelling and cracking, reducing the need for costly upkeep or repair. 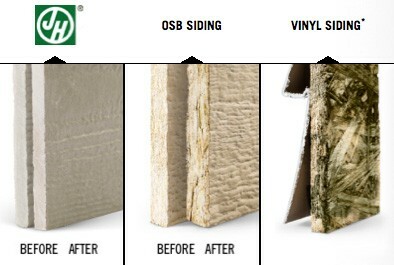 On the other hand, other siding options can be susceptible to swelling and expansion caused by water absorption. The animals that make nature wonderful can be a torment on homes. 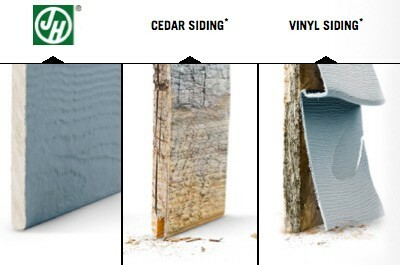 Some types of siding fall prey to pests and animals. Because it’s wood, cedar siding can be pecked by birds and devoured by insects. But James Hardie fiber cement siding offers little appeal to critters and won’t be eaten by termites, providing unmatched peace of mind and protection. James Hardie fiber cement siding is fire-resistant, which is why it’s endorsed by firefighters nationwide. OSB siding will eventually turn to ash when met with a flame. Vinyl siding actually melts from the sun reflecting off of new, Low-E windows. Not surprisingly, it also melts when near fire. By choosing James Hardie siding, you’ll be confident that you’re protecting your biggest asset. James Hardie is one of the best siding brands around due to the fact that it is long-lasting and can withstand everything nature can throw at it. We have replaced the siding on many of our customer’s homes and all of them only have positive things to say about James Hardie. If you are in need of siding for your home, trust the Ann Arbor siding professionals, at John McCarter Construction. Please contact us to schedule your FREE consultation and quote.